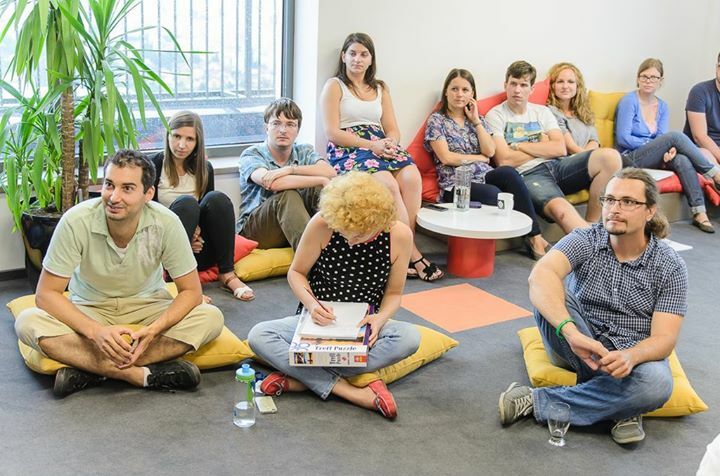 Our team’s idea to create programs that would add value to the Romanian educational system and thus help our IT sector thrive might have seemed wishful thinking to some. The practical courses organized for high school students this summer proved all the doubters wrong. While the wait was long, carefully putting all the elements in place for the first event in the program paid off. 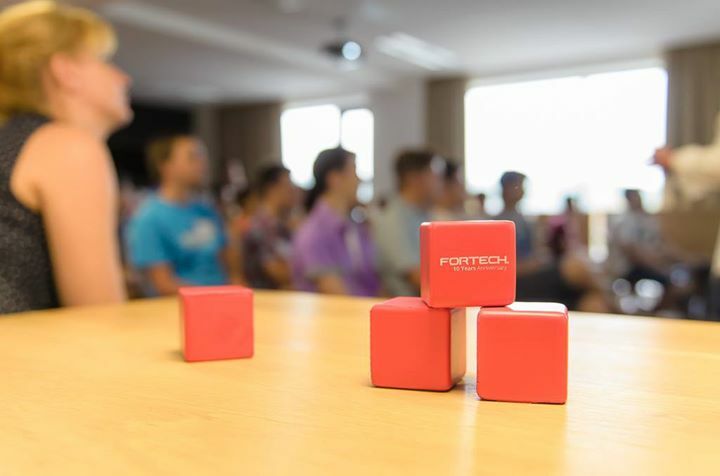 The modern training room at the new Fortech headquarters, the careful planning of the workshops, the passionate and experienced trainers and the enthusiastic students combined to make the Fortech – “Avram Iancu” initiative a highly successful one. 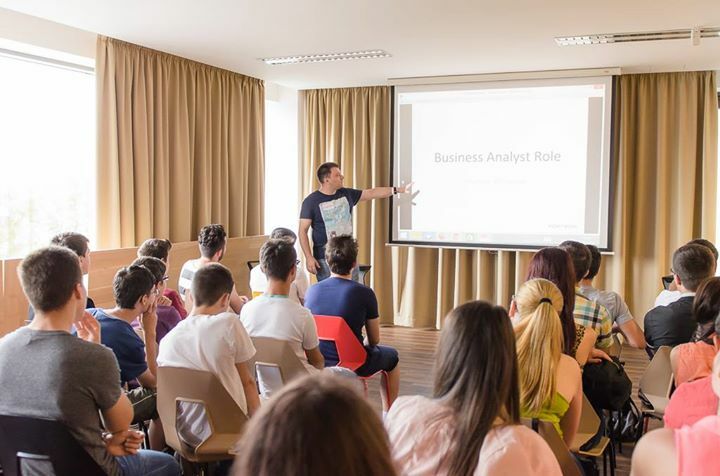 The pilot program of the IT hiSchool Training series was organized by a mixed team of specialists and teachers from Fortech and the “Avram Iancu” theoretical high school for students from the same high school interested in gaining a good understanding of the IT field. It consisted of practical workshops aimed at providing students with real-life applications of the notions they acquire in school and at familiarizing them with the learning and work environment waiting for them after graduation from college. Keeping the Romanian IT sector on its current positive track requires well-trained specialists and our program will make a difference in this respect for at least one decade. Getting the kids used to programming the moment their brains are ready to process this kind of information is a prerequisite in Romania’s effort to safeguard its IT industry. Just like countries that invest too little in the juvenile sector in sports end up getting mediocre results, those that start educating their youth in programming and sciences too late will have a hard time meeting the demand for software engineers with local specialists. The Fortech – “Avram Iancu” initiative addresses this very issue in a professional manner, relying not on role models that can inspire entire nations but also on passionate and highly skilled specialists willing to devote their spare time to helping the young generations choose the most appropriate career path. The following sessions took the spotlight: “Careers in IT – General Presentation”, held in Fortech’s Happy Bistro, where over 40 shy high school students learned from the source what a career in IT would bring them, “Programming – best practices”, one of the most appreciated by participants due to the extensive practical experience it offered them access to, “Agile concepts”, learned through the Scrum Lego City simulation game, “Branding & graphic design”, in which the students branded the Internet and “Teamwork”, where the students put together a video material from scratch. The pilot project was just a preview of future attractions, since most of the topics touched here will be addressed extensively in the next programs. Learning how well our initiative was received by the students filled our hearts with joy. “These discussions motivated and convinced most of us to choose careers in IT. They expanded our horizons, giving us the chance to learn what it means to work in this field” Alex, Rares, Beatrice and Adina told us. “We coded games and web pages and learned to keep our code clean” Sergiu, Dragos, Lorand and Ionut told us. We will invest all that it takes to make our program a highly successful one and to offer it to students from all the theoretical high schools in Cluj-Napoca.